Here is my Men's Fancy Mystery Box review! I don't know why I felt the need to get the Men's Mystery Box, but I did, and I figured if I didn't like some of the stuff, I could give it to B. But it turns out almost everything in here is perfect for him! 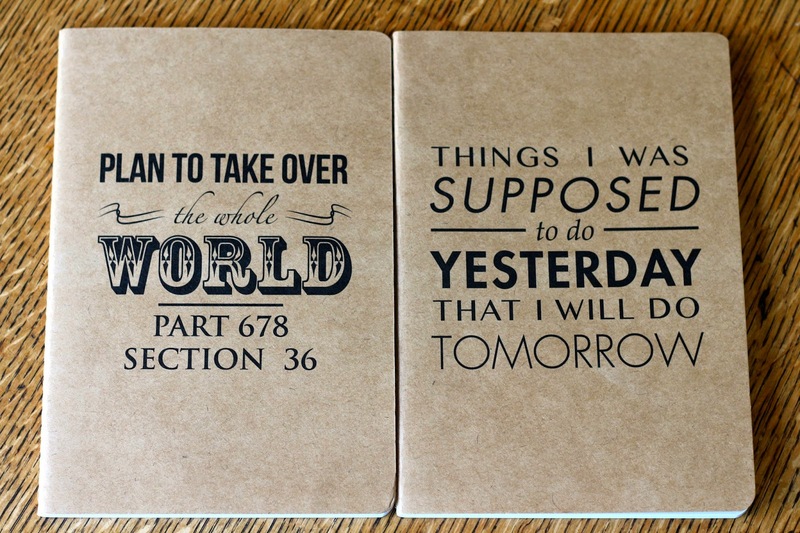 Fancy Notebooks - ($12) These are absolutely perfect for B, "Things I Was Supposed to do Yesterday That I Will Do Tomorrow" is like his mantra. 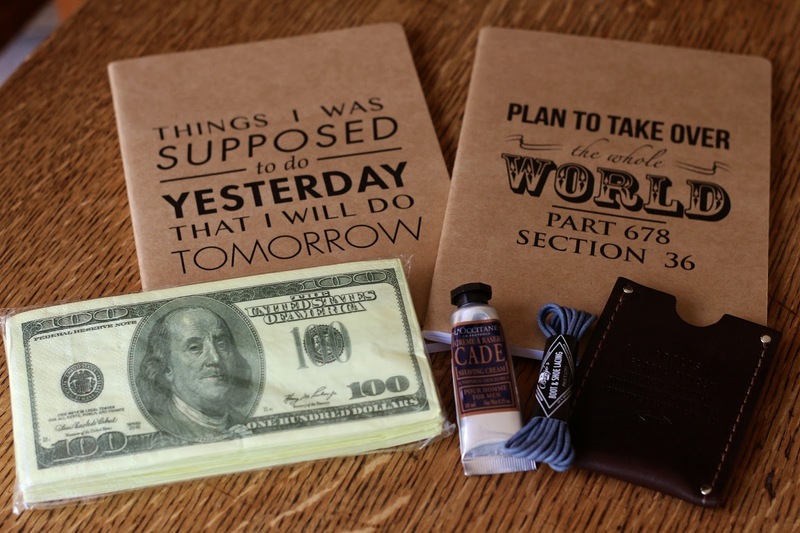 And he doesn't really have any notepads so these will be great. Cousin Traci Purple Laces by Benjos - ($8) On Fancy, these look really purple, but in person they look blue to me. Even more like a grey blue. B doesn't have any good leather boots to use these with, but I know he wants a pair. These will be perfect for when he gets a pair. 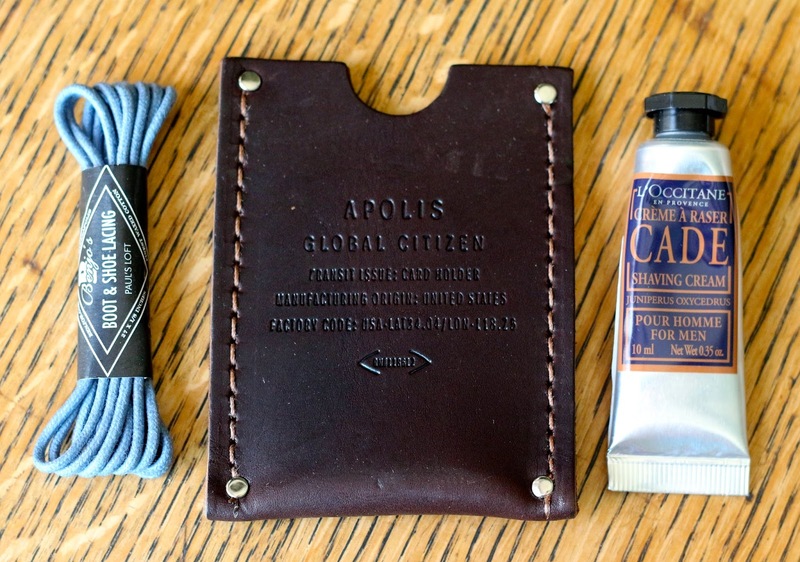 Apolis Leather Card Holder - ($15) B is very much into nice quality items for his professional life, so I think he'll dig this. Even if he doesn't have business cards, I'm betting he makes some just for this holder. L'Occitane Shaving Cream - ($5?) I can't seem to find this on Fancy, but I'm sure it will get used. I use shaving cream more than B does, so this may be for me for travel. 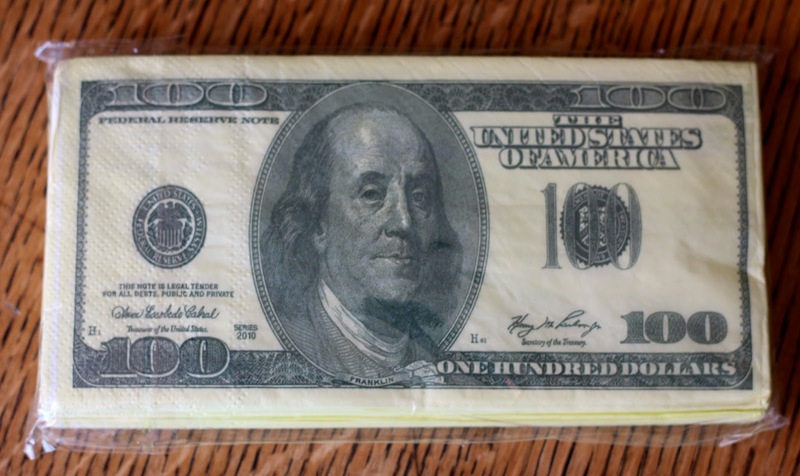 100 Dollar Bill Napkins - ($7) Even though these are a little weird and tacky, they will get used. B has this thing where he has to have extra napkins around at all times for runny noses, spills, etc. So these will probably end up in his stash of napkins. Overall, this Men's $10 Fancy Mystery Box had a $47 value total, which is pretty great especially considering I think everything in this box will get used. I got the Men's box because I had seen a few others with kitchen items in it, and I was hoping for something like that for me, but I'm glad that B will get use out of everything in this. Even if I won't.